Augsburg - The effects of the international break were clear to see as FC Augsburg and VfL Wolfsburg kicked-off Bundesliga Matchday 3 with a goalless encounter that lacked rhythm or flow. The sides had fine-tuned themselves to counteract their opponent's strengths, but after a metronomic back and forth failed to produce a breakthrough, the hosts will have been the happier of the two sides as they orchestrated their first point of the new season. Determined to make up for the defeat they suffered in their first home game of the season, Augsburg picked up where they left off on Matchday 2 by creating all the chances in a positive early spell. Aristide Bance rustled the top of the net courtesy of a deflected effort, but with Wolfsburg still working out the kinks that had materialised before the international break, set pieces supplied the hosts with their best sights of goal. Bance's physical presence provided a useful distraction in the box and just past the ten-minute mark Oehrl was allowed to head narrowly over at the front post. A distinct lack of pace and penetration, coupled with Augsburg's energetic pressing game often led to Wolfsburg conceding possession in their build-up play. However, they began to make their presence known when Vieirinha broke to the byline to tee-up Diego, who shot straight into the arms of Mohamed Amsif. 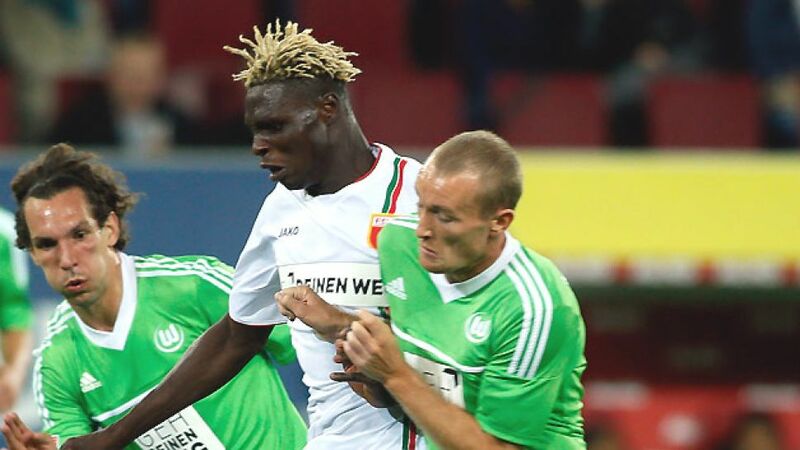 Augsburg were opting for route one football to find Bance and though the towering striker had a tame header collected by Diego Benaglio, the flow was hindered by persistent fouling as the sides brought an end to an uninspiring first-half. Wolfsburg stepped it up a gear after the restart when Vierinha stung the palms of Amsif with a rasping long-range drive, before Ricardo Rodriguez fired well wide with a similarly powerful effort. However, they were soon beaten back into submission by Augsburg, who weren't affording them any time on the ball. The hosts had set themselves up to absorb the pressure before seeking out their chances on the counter, but their counter-attacks often petered out due to a shortage of support. Bas Dost was introduced off the bench to spark the languid affair into life and, with Augsburg dropping ever deeper, almost had the desired effect with just under 20 minutes left to play. Ivica Olic clipped the ball into the Dutchman, but instead of going for goal himself, Dost headed the ball down to Kahlenberg, allowing Amsif to scramble across his goal line to smother the chance. Both sides worked hard until the final whistle, but with Oehrl's drilled cross missing friend and foe, a breakthrough was not forthcoming.